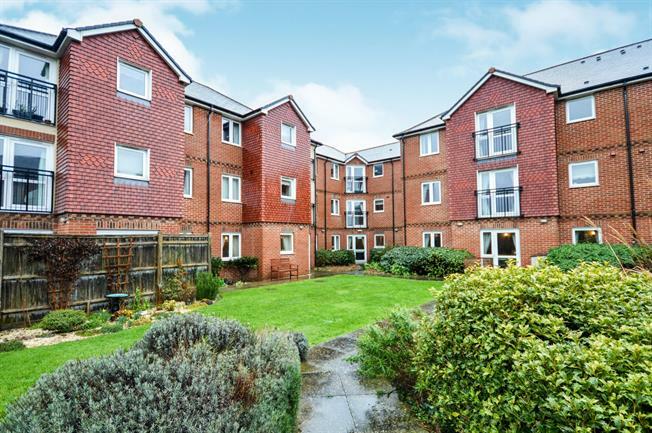 1 Bedroom Flat For Sale in Folkestone for Offers Over £95,000. One bedroom flat which is beautifully maintained and neutrally decorated. Spacious living room which is bright and airy, with an adjoining fully fitted kitchen. The bedroom is a good sized double with plenty of storage, and a bathroom which includes walk in shower for ease of use, with beautiful communal gardens to enjoy. Service charges are 5784 per year and include water rates and 1 hour domestic care per week.